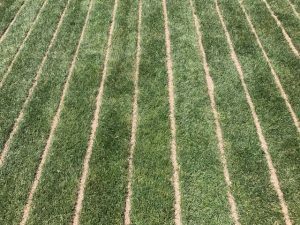 Linear slit drainage is a functional and economical way to improve an athletic field’s drainage without performing a complete renovation of a facility. 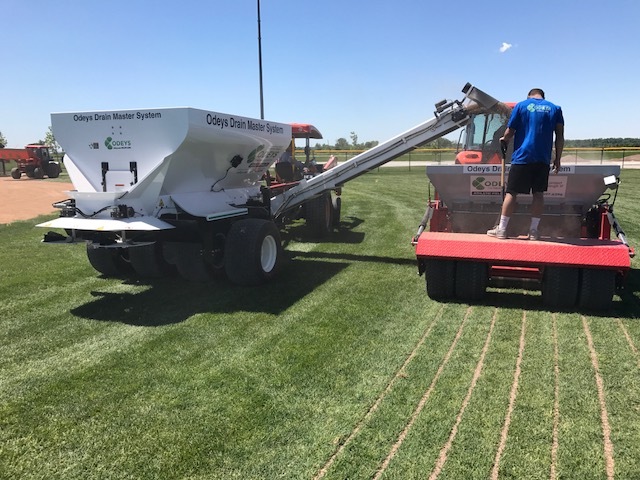 Networks of trenches are filled with sand or Odeys Soil and Turf Conditioner to drain away excess water from surface and sub-surface. 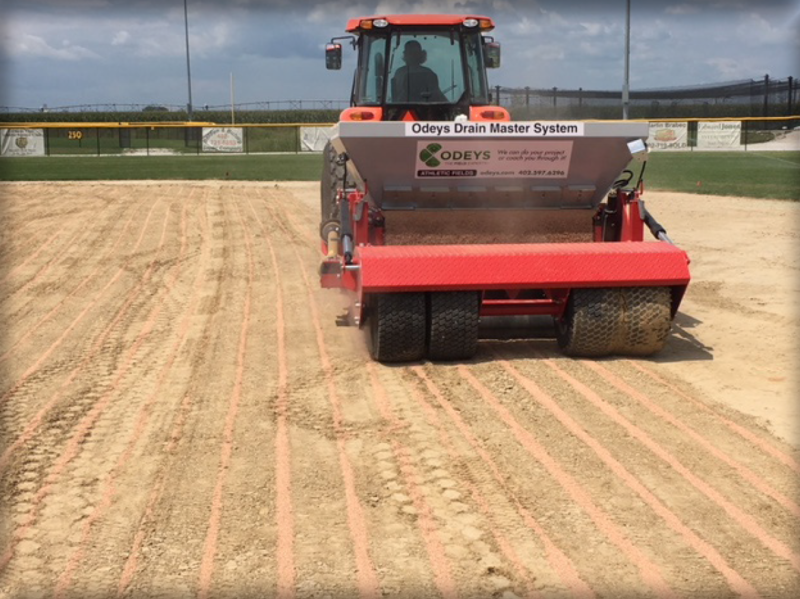 The Odeys Drain Master’s rotating blades create 5/8” wide slits at a 10” spacing while also providing decompaction with their wave action. Amendments are injected into these slits at a depth up to 10” allowing water to infiltrate through the surface quicker. Minimal disruption to the playing surface leaves it game ready following installation.